The surgeon informs the nursing staff which instruments will be required for the case. 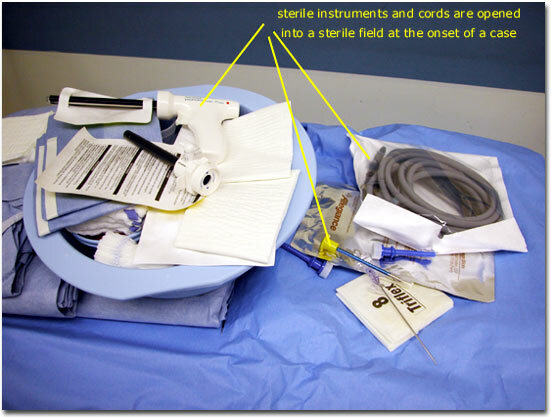 The sterile instruments are then picked and opened onto a sterile field. The “scrub nurse” usually will then arrange the instruments in an orderly fashion for use during the surgery.